This charming property is stacked with opportunity! 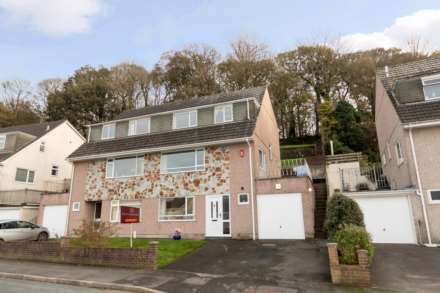 Offering well proportioned living and bedroom space spread over two floors which would benefit from modernisation but does currently offer uPVC double glazing and gas central heating. The accommodation briefly comprises an entrance vestibule very much of the period, lounge with beautiful bay window, separate dining room, kitchen and storage downstairs with two large double bedrooms, one single, and a study/nursery room along with family bathroom upstairs. There is a great deal of character features in keeping with the turn of the century build. Outside boasts an enclosed rear garden and off road parking available to the front by means of a driveway. Property in this road are rare to the market and interested parties should contact us as soon as possible to avoid missing out! Door leading to the main hallway. Good size open hallway with stairs leading to the first floor offering storage cupboards beneath and doors that lead to the lounge, kitchen and dining room. Delightful room with large bay window to the front overlooking the front gardens. Feature fireplace. A great feature of this age of property is the large separate dining room, which offers a window overlooking the rear gardens and a feature fireplace. There is a range of work surfaces and storage cupboards available along with two recessed cupboards, space for appliances and a window and door to the gardens at the rear. A skylight makes this a bright space with steps up from the half landing leading tot he three main bedrooms. There is also a family bathroom and study/nursery. Large double bedroom with feature bay window tot he front aspect. Another good size double bedroom with a window overlooking the gardens. A single bedroom of good size with window to the front aspect. This additional room would make a great study or nursery room. Not big enough for a comfortable bedroom but never the less a great space with window to the rear aspect. Window to the side aspect. Bath with tile surround, low level WC and pedestal wash hand basin. To the rear of the property is an enclosed and good size garden which has bags of potential with its South Westerly aspect. The front offers a paved driveway and small enclosed garden.